ROBERT WOODLEY. Robert brought up his family in Moretonhampstead, but his baptism has not been found there. From the date of his marriage we should expect him to have been born around 1641. 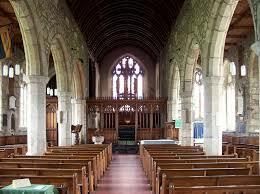 There is a promising baptism in the neighbouring parish of Dunsford. This would make him 25 at the time of his marriage, a typical age. There is no sign of this Robert dying young or having raised a family in Dunsford. The burial of a Robert Woodley there in 1679 is probably that of an older man. Robert was the eldest and, as far as we know, the only child of his parents. After 1641 his father Augustine disappears from the records. Since the Civil War broke out the following year, there is a strong possibility that Robert’s father was one of its many casualties. He would have been brought up as an only child by his mother, though doubtless his grandfather and step-grandmother, John and Joane Woodley, would have played some part in this. Dunsford was a strongly Royalist village, under its lord of the manor Sir Francis Fulford. The boy Robert may well have played games of gallant Cavaliers beating the hated Roundheads. At some point, Robert left Dunsford for the busier little market town of Moretonhampstead on the edge of Dartmoor. The River Teign, with its steep-sided Fingle Gorge, formed the boundary between these two parishes. We do not know how old he was when he made this move. There were a number of Woodleys in the 1660 Poll Tax return for Dunsford. They include Robert Woodley and his wife. Augustine’s son would have been 19 then, and unlikely to have been married yet. There are a number of other Woodley entries for servants of households whose baptismal names are not given. One of these could be the younger Robert. Or he may already have left the village. JUDITH HUTCHINS. Judith was Moretonhampstead born. She was the fifth of the nine children of George Hutchins and Jane Coles. 1638 Sep 30 Judith ye Daughter of Georg Hutchins. Her mother was Jane Coles. Her brother John became a mason. This may possibly have been her father’s occupation. Joan also grew up during the Civil War, but her experience was very different from Robert’s. Moretonhampstead had a dissenting history and was vehemently Parliamentarian, unlike the surrounding villages. Since 1588 attendance at church had been compulsory, with a substantial fine for absentees. Judith would have attended the sermons of the Rev Francis Whiddon, rector of Moretonhampstead, who was a prominent Puritan preacher. The couple married at St Andrew’s in Moretonhampstead in 1666. This was six years after the country had returned to royal rule under Charles II. We have the baptisms of five children, and the burial of another whose baptism we have not found. On 13 Jan 1678/9 we have the burial of Elizabeth, daughter of Robert Woodley. Robert Woodley does not appear in the 1676 Hearth Tax return for Moretonhampstead, but a number of names have been lost. This would have told us something about the size of house they lived in and hence their economic status. We have a burial for Robert Woodly on 12 Jan 1703/4. He would have been in his early sixties. There was a burial for Judith Woodly in the Bovey Tracey, south of Moretonhampstead, on 22 Jul 1690. The next occurrence is in Moretonhampstead on 4 Dec 1731. This would make Robert’s widow 93 years old. There may be an earlier Moretonhampstead burial missing, or she may have moved after Robert’s death to another parish whose registers do not go that far back. R.R. Sellman, Moretonhampstead Family Reconstitution From the Registers 1604-1807.